Claims by followers of Sathya Sai Baba of Puttaparthi that he is a reincarnation of Sai Baba of Shirdi have enraged devotees of the latter. They have filed a suit in the court at Rahata, in Ahmadnagar district, asking the court to restrain people from making such claims. The case will be heard on January 14. The controversy began when an organisation, Bharat Cultural Integration Committee, wanted to club Sathya Sai's 80th birthday celebrations with the Shirdi seer's 168th birthday in November last year. The invite to the function carried a story that claimed the Sai Baba was born to a woman called Devagiriamma in 1838 and that before his death in 1918, he had promised his followers to come back after eight years, thus lending credence to the reincarnation theory. Though it is universally agreed that Sai Baba died in 1918, his followers contend that his origins are unknown. For this reason, the Shirdi shrine has never observed any birthday of the saint. Versova resident and ardent Sai Baba devotee Manu Gidwani who has objections to the claim made by followers of Sathya Sai Baba says: "I respect the faith of the followers of Sathya Sai Baba but by claiming incarnation, they have insulted the followers of Sai Baba." The literature on the saint brought out by Shirdi Sansthan, the organisation that runs the shrine, says the birthday and name of the holyman's parents are not known. The Sansthan's books also do not recognise claims of other godmen to be a reincarnation. The celebration was cancelled after the objections; but the followers of Sai Baba have sought a permanent injunction restraining anyone from making claims about the birthday. "Every saint has followers. But how can anybody claim to be an incarnation?" demands Dr Pyarelal Tiwari, a cardiologist at Bombay Hospital and a member of the Shri Sai Baba Sansthan. 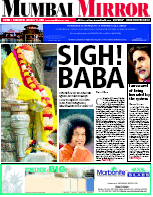 However, followers of the Sathya Sai Baba insist their guru is an incarnation of the Shirdi Sai Baba. "It is a fact; there are so many evidences in this regard," said Sudhir Joshi, a follower of the Puttaparthi godman. The devotees of the Southern guru say Sai Baba had said that he will be reborn eight years after his Samadhi and meet his followers to solve their problems. 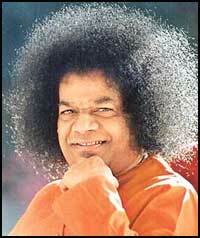 Sathya Sai Baba was born eight years later after Sai Baba's death, on November 23, 1926.